What do you get when you take some hard plucking hillbilly banjo, gorgeous melodies, and a cold creepiness? 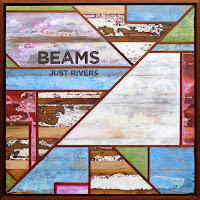 Well you get Just Rivers, the debut album from Toronto's Beams (out May 14th). The lead single is "Be My Brother" is the template for the record. It's a roots-based track with an eerie swirling atmosphere. The results are as desolate, harsh, and lovely as a Canadian winter. Following tracks like the lilting saw-bending "Sun Wraps 'Round" and the rollicking "What Would You Say" tone down the ethereal for a more down to earth sound. The vocals (and songwriting) are provided by Anna Mernieks. She's got a lovely voice, and one that conveys sweetness ("White Belly") to haunting ("Where Our Cabin Lies"). The most unexpected moment comes in the form of the cover of Portishead's "Glory Box". It manages to maintain the feel of the original but adds an organic sound. In one of the few flashes of joy, Beams have you almost immediately bopping your head to "End of the Bar", all the while singing rapturously about cheap cocaine. 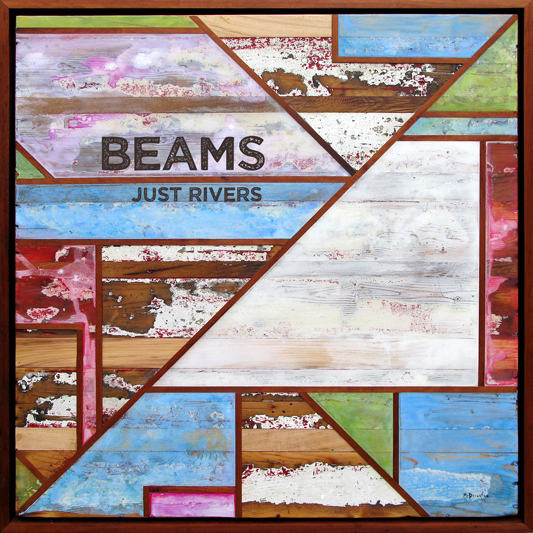 It's a unique combination of sounds and atmospheres that Beams have pulled together for their debut. You need to be in a certain mood to fully appreciate it, but when you are it's moving. Best tracks: "Let's Not Keep It Open", "End of the Bar"